Let’s pretend for a second we are a new customer who has never heard about how incredibly talented you are, or how jaw droppingly skilled you are with a pair of straight scissors. We have parked outside your salon, and walking our furry child (let’s be honest, everyone views and treats their dog as their child…well, I know I do anyway), into your salon. We may not think it, but subconsciously are building an impression of you and your business on those first few steps. Believe it or not, it will have gone as far as having a preconceived idea as to the quality of groom you will provide their dog. What would we, as the ‘new customer’ has come in contact with in that short journey. Does your uniform look tidy and presentable? Are you nice and offer a warm greeting? I know some of these things don’t relate to colour, so let’s focus on the parts that do. 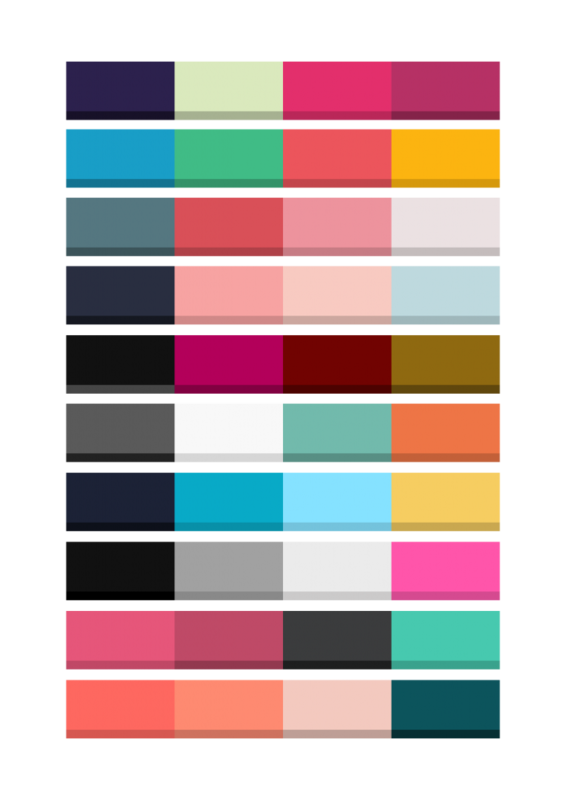 Granted, that is probably just my design brain in overdrive, but these colours together wouldn’t appeal to me. Your logo is a representation of you, your business and your passion. A few tips and hints if you’re looking at designing a logo, or brand. A picture can paint 1000 words. Don’t cram unnecessary imagery into your logo or signage. Some logo’s look great in black and white, others, in colour. I would recommend a max of 3-4 colours that complement each other. Don’t overkill with a specific colour and make your logo an eyesore. Once you have settled on a colour scheme, look at how you could link these colours to your uniform, wall paint, or even as far as your stationery and business cards. Keep it legible. You might know what your fancy new poster says, but if it’s the wrong font, your customer might not have a clue and you will have sadly wasted money getting it printed. This is a tricky one – you could have the same colour of orange, and print it on three different materials. You would expect that the colour would remain the same each time, however, this isn’t alway the case. When you’re printing on your own printer, just be aware that it will likely vary from getting the likes of your business cards printed externally. Sometimes spending a little extra and getting everything from an external printer is worth it. You might be surprised at how many local graphic designers are available to you, and how affordable they are to hire. Doing this would save you the heartache and worry of trying to organise everything yourself.